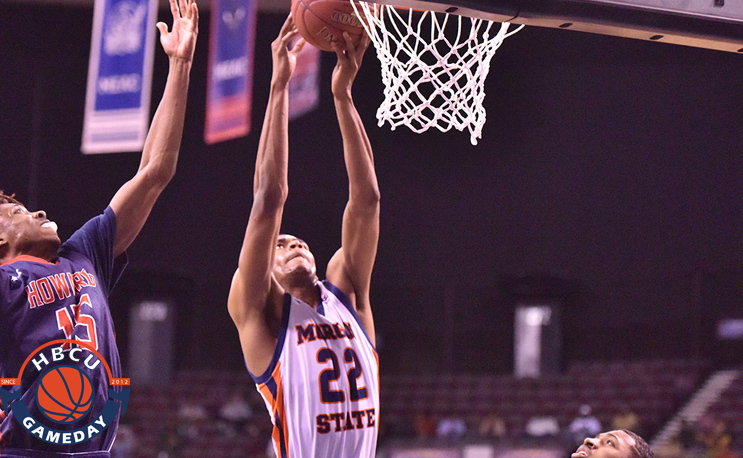 The MEAC says the team to beat this year in men’s basketball will be Morgan State. On Thursday the conference announced Morgan State senior forward Phillip Carr as its Preseason Player of the Year along with selecting the Bears to win the MEAC. Carr led the MEAC in rebounds last season, wiping the glass for 9.5 boards per game. He was also seventh in scoring averaging 16.6 points per game. Carr is the first Bear to be named preseason Player of the Year in the last seven years, Kevin Thompson gained the honor in 2010. Morgan State was 11-5 in MEAC play last year, and during the voting process they picked up 13 first-place votes. The last time the Bears were picked to win the MEAC was before the 2011-12 season. MSU is led by Todd Bozeman, who’s in his 12th year as head coach. Bozeman became the all-time winningest coach at MSU last year with a road win at South Carolina State. Norfolk State was picked to finish second while defending MEAC regular season and postseason champions North Carolina Central was picked to finish third. Rounding out the rest of the preseason poll are Hampton, Savannah State, Maryland Eastern Shore, S.C. State, Howard, Bethune Cookman, Delaware State, Florida A&M, Coppin State, and North Carolina A&T State. As voted on by the league’s head coaches and sports information directors; first-place votes are in parentheses. As voted on by the league’s head coaches and sports information directors. I cannot believe that the conference coaches would disrespect North Carolina Central U and Coach LaVelle Morton program like that. Telling you North Carolina Central is the team to beat again this year.